On April 4, Rep. Tim Ryan (D-OH) announced that he is seeking the 2020 Democratic presidential nomination. The congressman supports marijuana legalization and has cosponsored a number of wide-ranging cannabis reform bills in recent years. Ryan earned an “A” grade from NORML. Here’s a closer look at his record on the issue. Since he started his tenure in Congress in 2003, Ryan has supported various marijuana and hemp-related amendments on the House floor, but most of his proactive bill cosponsorships have taken place more recently, in the 115th and 116th Congresses. He cosponsored of the Marijuana Justice Act, a bold legislative proposal to federally deschedule cannabis and punish states that enforce marijuana in racially or socioeconomically disproportionate ways. He also backed a bipartisan bill that secures banking access for marijuana businesses. He cosponsored an earlier version of the bill in 2017 as well. Additionally, the congressman put his name on legislation to shield legal cannabis states from federal intervention in the 116th and the 115th Congresses. This time around he was an original cosponsor. Ryan cosponsored legislation to federally regulate marijuana like alcohol and another bill to provide tax fairness for the cannabis industry. 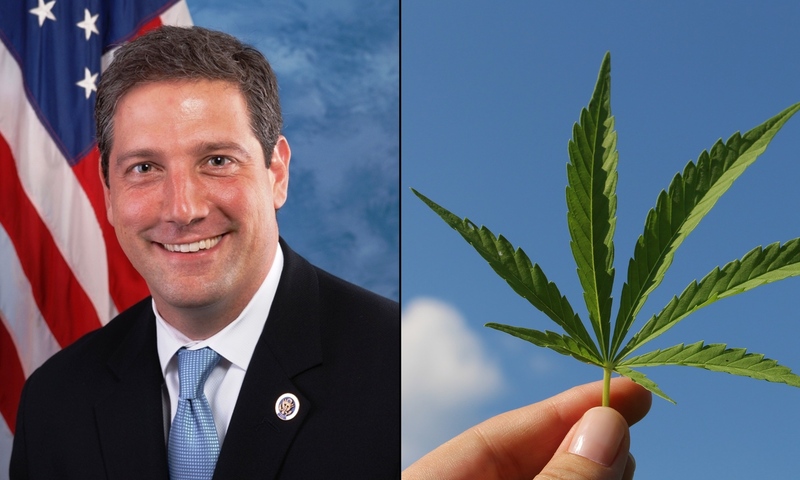 Before he got behind marijuana-specific bills, the congressman backed legislation to remove hemp from the Controlled Substances Act on two occasions. But while he might not have as many cosponsorships on record as compared to some of his Democratic colleagues, Ryan has been consistent in his support for amendments protecting states that have legalized cannabis for medical or recreational purposes. He voted in favor of measures protecting medical marijuana states from 2003 to 2015. He did the same for amendments covering adult-use and CBD-only states in 2015. He also voted for measures that would allow doctors at the Department of Veterans Affairs to recommend cannabis for medical purposes in 2014, 2015 and 2016. Ryan supported amendments to protect states that have legalized industrial hemp from in 2014 and 2015, and he also voted in favor of an amendment to secure banking access for marijuana businesses in 2014. Ryan hasn’t talked frequently about marijuana policy on social media—at least compared to some of the other 2020 Democratic candidates. His first tweets on the issue were shared shortly after the congressman signed on to the Marijuana Justice Act, sponsored by Sen. Cory Booker (D-NJ). After then-Attorney General Jeff Sessions rescinded Obama-era guidance that laid out federal priorities for marijuana enforcement, Ryan wrote on Facebook that the move represented a “betrayal” by President Donald Trump, who pledged to let states set their own cannabis laws. Some of Ryan’s most comprehensive comments on cannabis policy came from a 2018 op-ed he wrote for CNN. In the piece, the congressman outlined his evolution on the issue, explaining that while he’d been reluctant to embrace the policy position as co-chair of the House Addiction, Treatment and Recovery Caucus, he’d witnessed the long-term, racially disproportionate harms of prohibition. Ryan toured an Ohio medical cannabis cultivation facility in January 2019 after the company was awarded the state’s first provisional license. Ryan defended his support for legalization during a debate with his reelection opponent in 2018. Ryan has not publicly commented about any personal experience with cannabis. While Ryan is not the lead sponsor of any marijuana legislation, he has increasingly stepped up his involvement with the issue over time to the point that he called for cannabis to be legal in all 50 states. Perhaps a more important indication of how he feels is the fact that whenever he has been required to vote on cannabis amendments on the House floor, he has consistently supported reform. All of that indicates Ryan would probably not direct a crackdown on state-legal marijuana activities and, more likely, would support efforts to push bold reform like the Marijuana Justice Act. That said, his limited commentary on the issue to date indicates that it might not be a top priority for his administration.